The Federal Government has signed a Mutual Legal Assistance in Criminal Matters with Russia for repatriation of looted funds and assets. 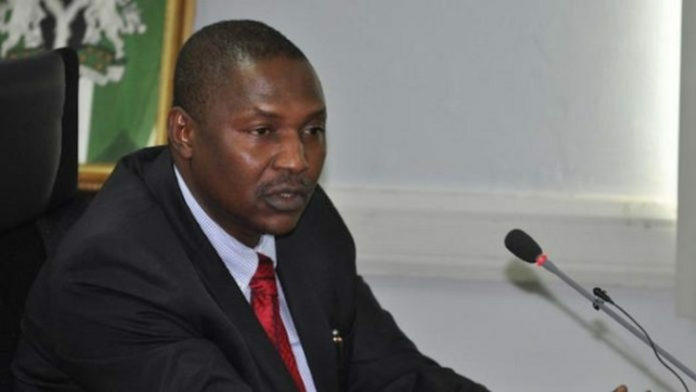 According to the Ministry of Foreign Affairs, the treaty was negotiated in 2009 but signed in Moscow, Russia, on November 27, 2018, by the Attorney-General of the Federation and Minister of Justice, Abubakar Malami. He was accompanied by the Ambassador of Nigeria to the Russian Federation, Prof. Steve Ugbah, while the Acting Minister of Justice of the Russian Federation, Oleg Anatoyevich Plokhoy signed on behalf of his country. George Edokpa, the MFA spokesman, in a statement in Abuja on Monday, said that the Treaty on Legal Assistance in Criminal Matter was aimed at providing the necessary mechanism for cooperation in the fight against crime and related matters, including terrorism, as well as to counter every form of support to terrorism. “This agreement as it stands would assist in the fight against corruption as it makes provision for the tracing, recovery, forfeiture or confiscation of stolen assets, as well as the proceeds and instruments of crime,” the MFA stated. The statement noted that the AGF explained that the treaty would enable Nigeria to request for the arrest, surrender, investigation and prosecution of all persons who may have committed crimes and escape to the Russian Federation. It added that it would also ensure the Russian cooperation in the tracing, recovery and repatriation of the stolen assets.